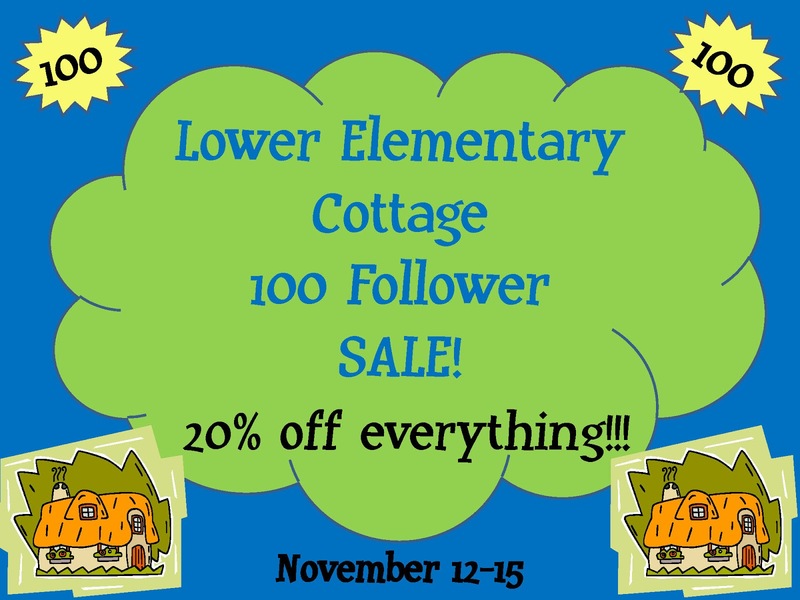 The Lower Elementary Cottage: Manic Monday Including My 100 Follower Sale! I still can't believe I made it to 100 followers! Thanks guys! 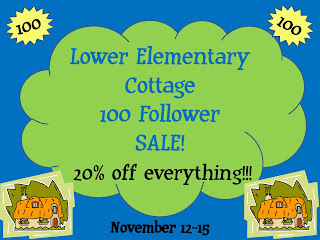 In addition to my super awesome giveaway, I also put everything in my TPT and Teacher's Notebook stores on sale for 20% OFF!! Scroll to the bottom to enter the HUGE giveaway I'm having! 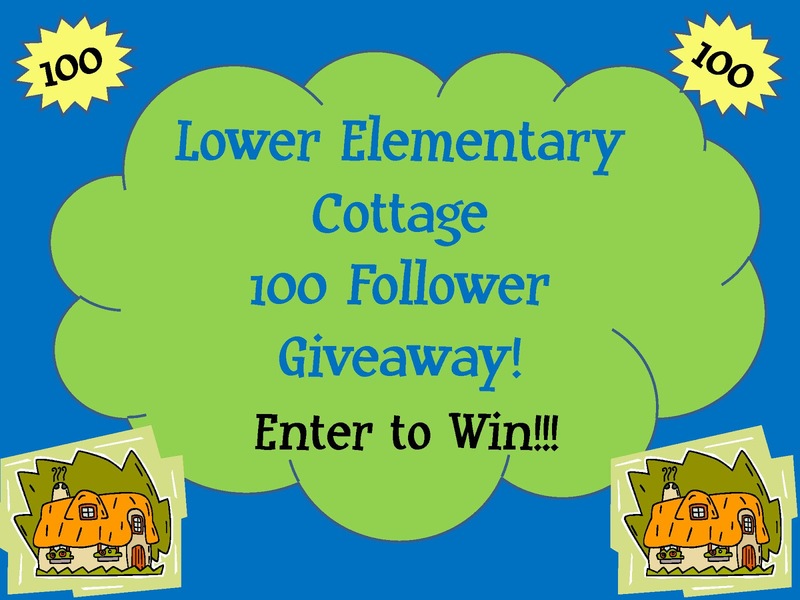 It wouldn't be Manic Monday without an awesome freebie! Thankfully it's not too manic of a Monday with the Veteran's Day holiday I get to have an extra day of rest. I desperately need to finish my book before my book club on Thursday. This month we read The Age of Miracles by Karen Thompson and according to my Kindle I'm only 82% of the way done. 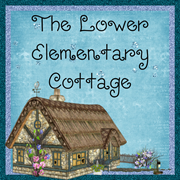 Enjoy this little freebie, while I go cozy up with a book. 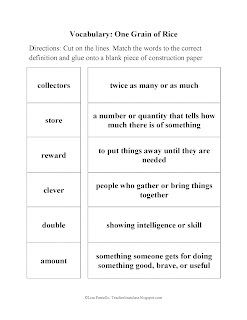 This freebie is a vocabulary matching activity for the story One Grain of Rice by Demi. 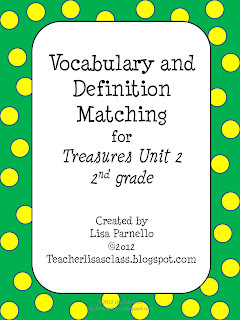 It is part of my Treasures Grade 2 Unit 2 Vocabulary Matching activities. For those of you who have already picked up Units 1-3, I've also just finished the rest of the units (3-6). Units can be purchased individually, or now available as a complete set. 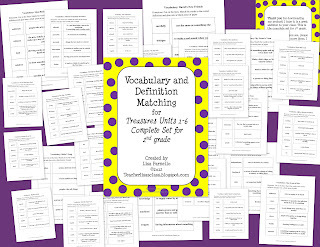 Want a full year of vocabulary matching activities? Here is the complete set all bundled together! Lisa- Great give away! Thanks for including me. 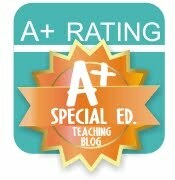 I blogged about it this evening and linked up. Have a great short week.